In the height of the AIDS epidemic, a closeted hospice worker takes in a new patient — a homophobic man dying from the disease. It’s the height of the AIDS epidemic in Los Angeles, 1985. Gabriel is a closeted homosexual who has converted his home to a hospice to care for those who are dying from the disease. 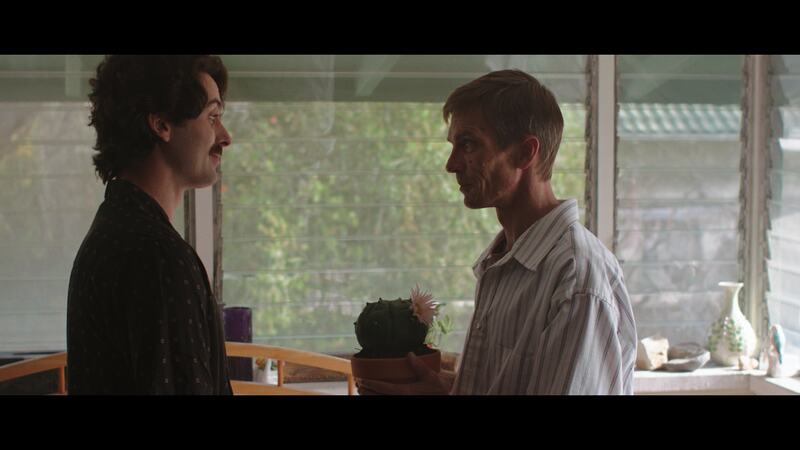 Gabriel takes Trevor, a homophobic man who contracted AIDS from his hemophilia medication, into his care and helps Trevor make peace with his illness by guiding him on a psychedelic journey that brings both men face-to-face with the virus. Annika Kurnick received her BFA in Drama from NYU’s Tisch School of the Arts. She has made a variety of short films and music videos. Her first feature film, MOLLY TAKES A TRIP, premiered at the 2015 Nashville Film Festival in the New Director Competition. She is currently pursuing her MA in Philosophy at the European Graduate School in Switzerland. Mikhail graduated from All Russian State University of Cinematography in Moscow (aka VGIK) with a concentration in Producing. While studying at LA Film School in 2008 with a major in directing and editing, he directed and produced his first shorts. Later, Mikhail worked for several TV channels and production companies in Russia for almost 10 years. Greg graduated from Ryerson University with a bachelor’s degree in Radio and Television Arts. He wrote for comedy, talk and reality shows on Canadian television before joining Buchanan Group, a Toronto ad agency. He has won multiple awards for his spec sitcom scripts and short screenplays. Greg is also an accomplished voice actor whose talents have been featured in numerous Canadian national commercials.